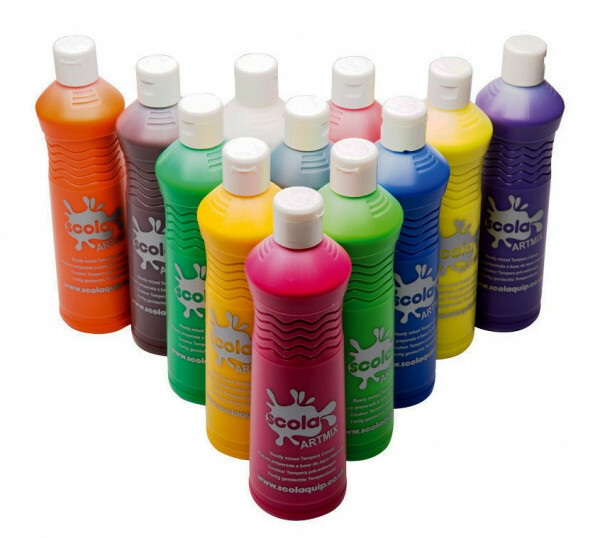 Pack of 12 squeezy bottles of ready-made classroom paint. Non-toxic and water soluble the paint dries to a matt finish, or mix with PVA for a more shiny appearance. Wheat & gluten-free, safe and washable ready-made paints for use in nurseries and schools. Colours: Red, blue, green, leaf green, black, white, lemon, yellow, orange, crimson, purple and burnt umber. Qty: 1×12 bottle pack or 3×12 bottle pack.